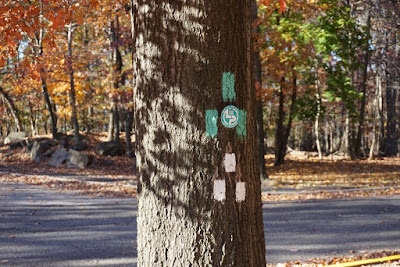 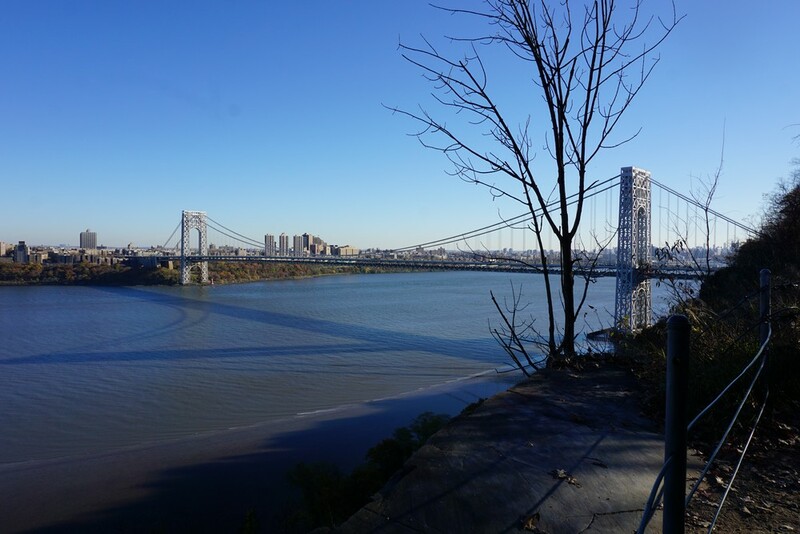 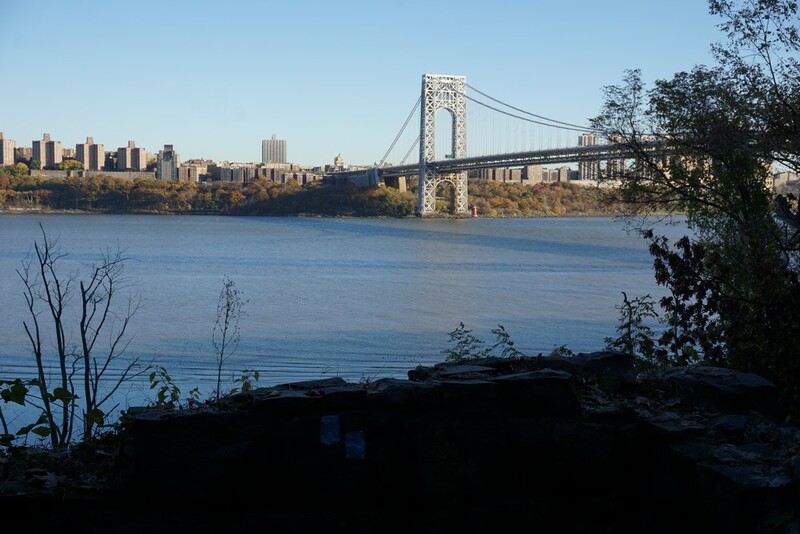 Who would think that right outside the hustle and bustle of Manhattan, right across the George Washington Bridge, there is a network of hiking trails in a large wooded area along cliffs and climbs? 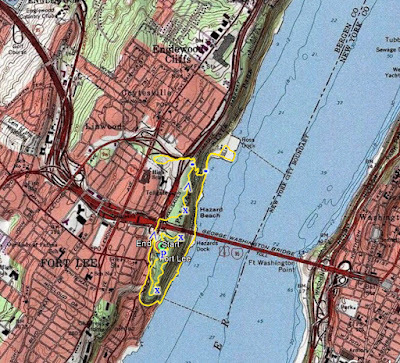 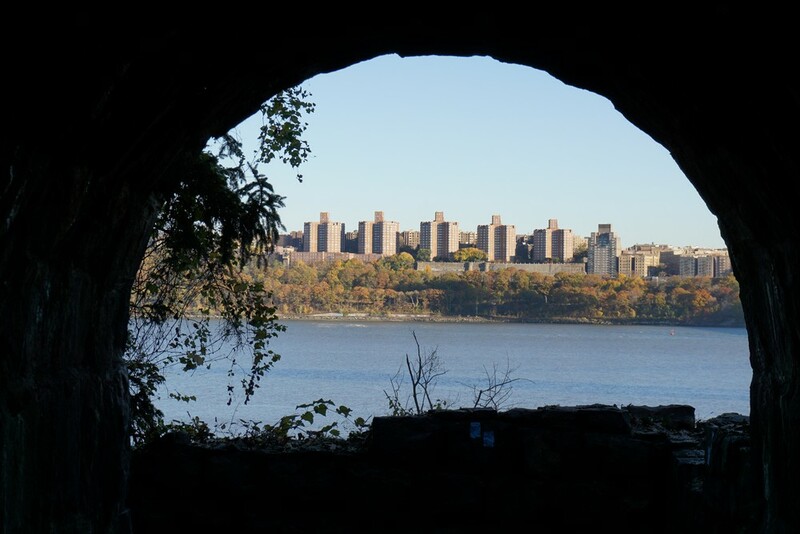 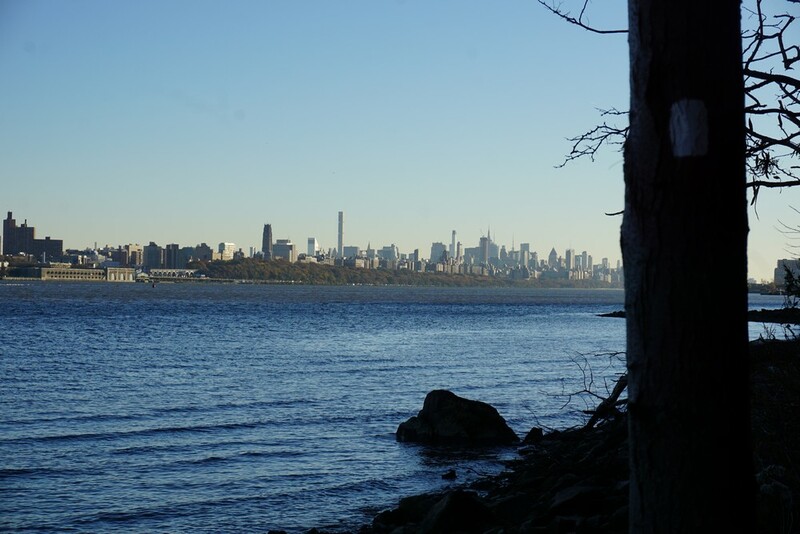 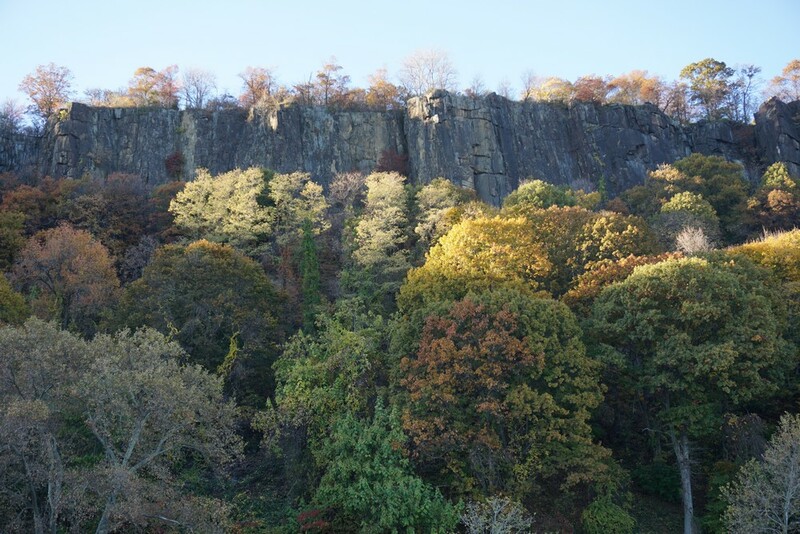 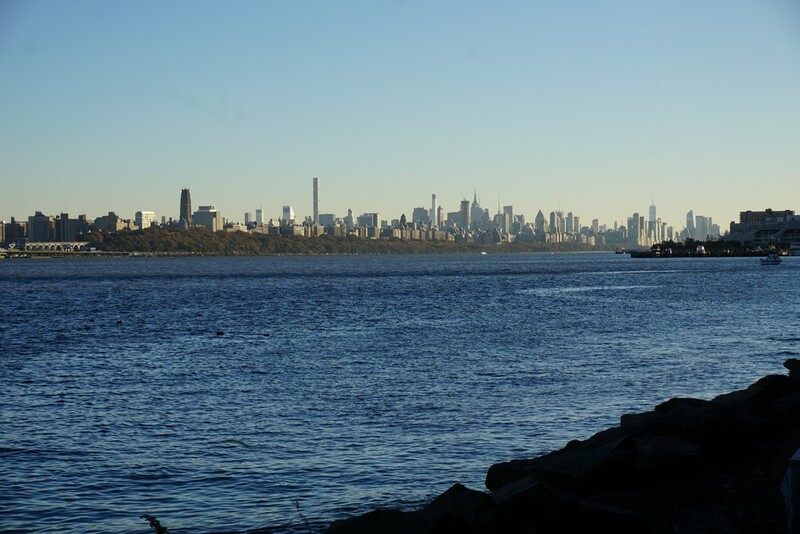 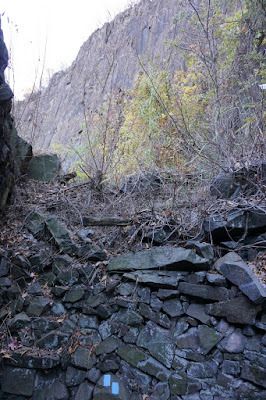 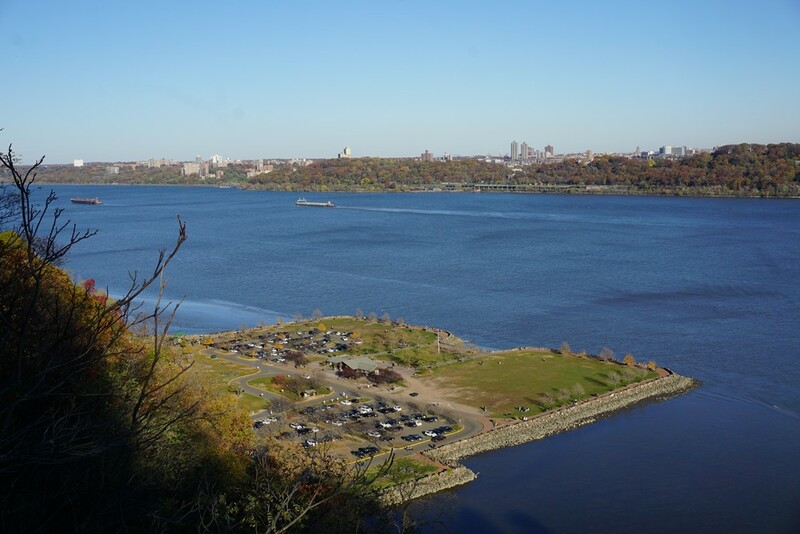 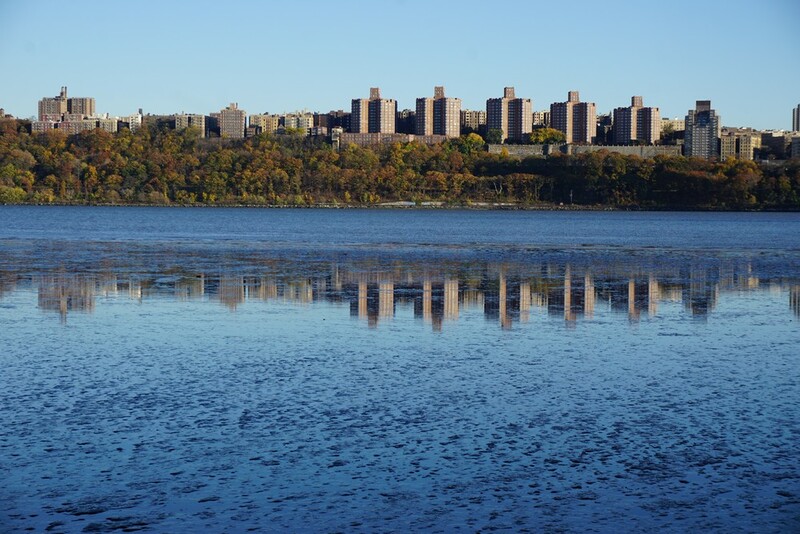 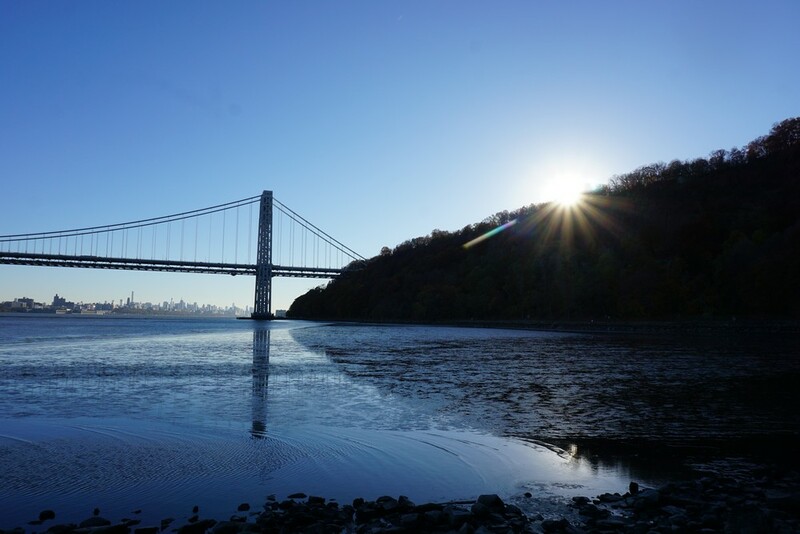 The Palisades Interstate Park is just that area, preserving these famous cliffs jutting straight up 500 feet from the Hudson River shoreline, with several trails traversing the area, most notably the Long Path on the top, and the Shore Trail on the bottom. While the area is far from tranquil, with views of dense urban build-up across the river and in the general vicinity, together with constant highway noise, it is still surprisingly serene and pretty while in the continuously forested area. I had a continuing education training event in Brooklyn on Sunday morning which I had to attend. 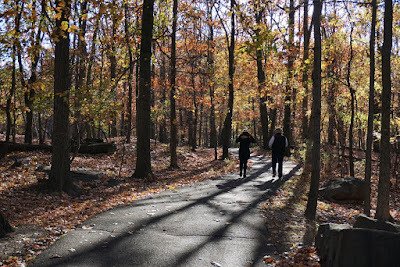 We were finished at about 12:30, and as the clocks had just been changed, there wasn't going to be time for a full hike further upstate. Being on the way home, I got off the highway after crossing the George Washington Bridge, and decided to check the area out. I had been intending to visit this area, and especially go to the start of the Long Path, but never had a good opportunity before. 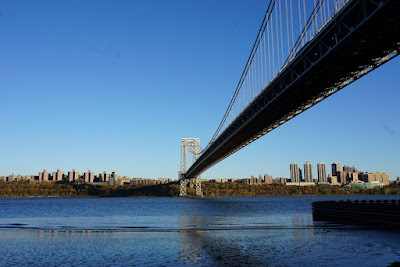 This was my opportunity. 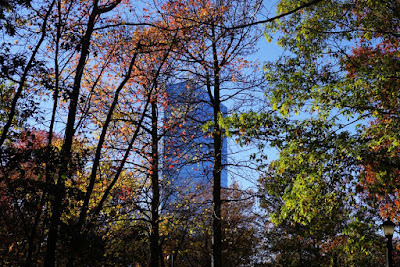 While the day had started off seasonably chilly, it had warmed up by early afternoon. Although it was already late in the season for foliage, being further south and in closer proximity to the city, this area had a surprising amount of foliage color remaining. 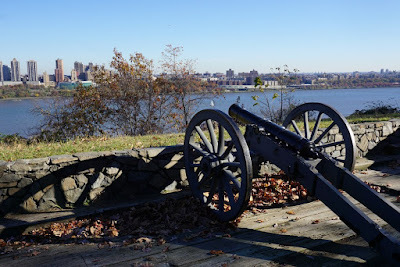 I parked at Fort Lee Historical Park, which is immediately south of the George Washington Bridge. 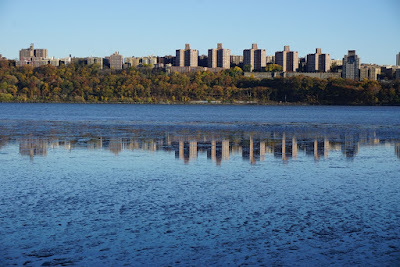 The parking lot here costs money, so in retrospect I would have been better off parking further north at Ross Dock. I ended up spending $5 on parking, which is the minimum weekend rate. 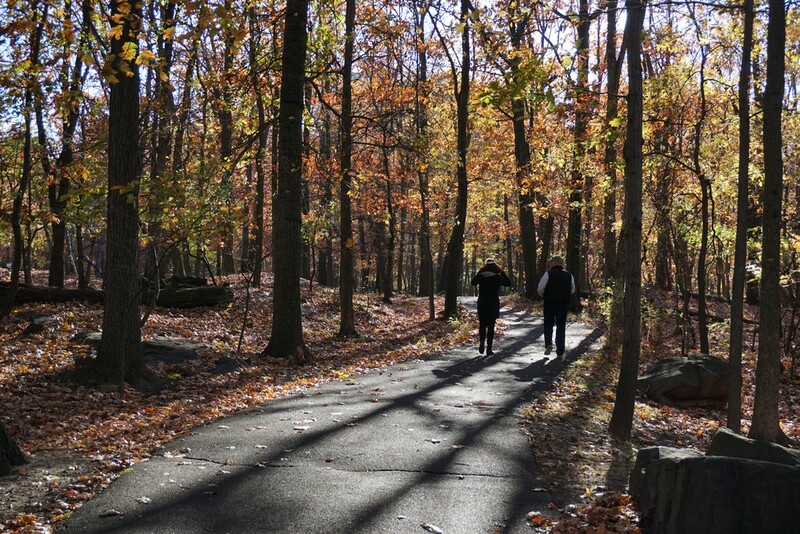 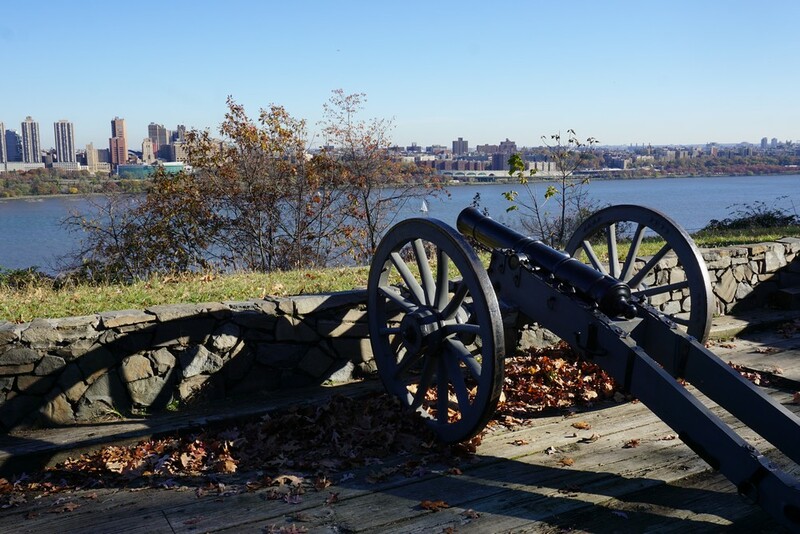 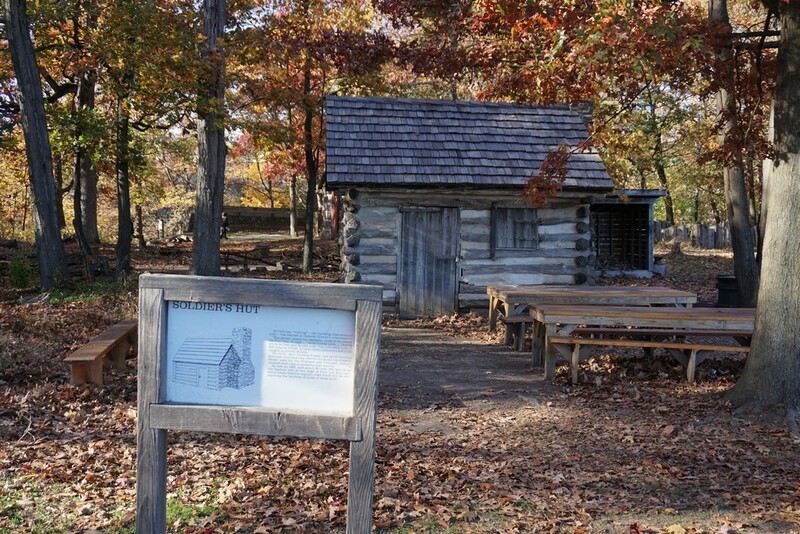 I explored the visitors center, which documents the time of the Fort and George Washington's positions in the Revolutionary War, and then walked along the paths of the park which show some historical relics such as soldier's huts and cannons. 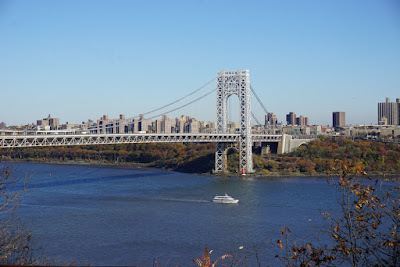 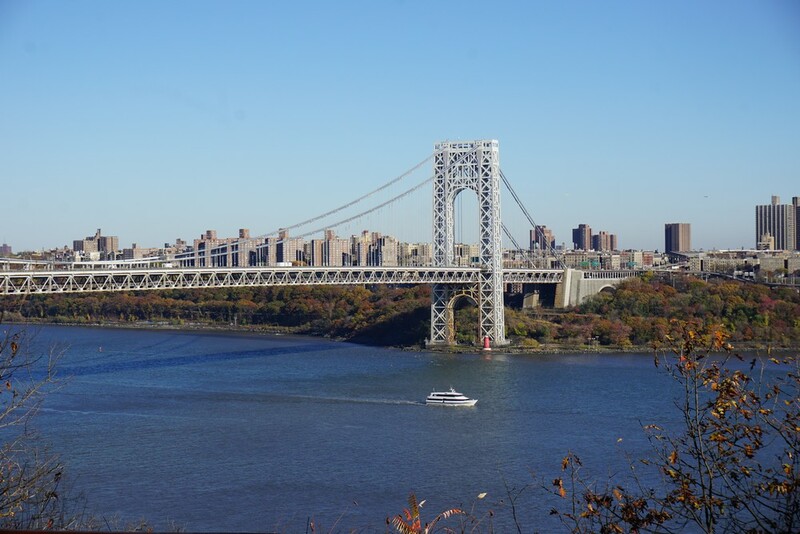 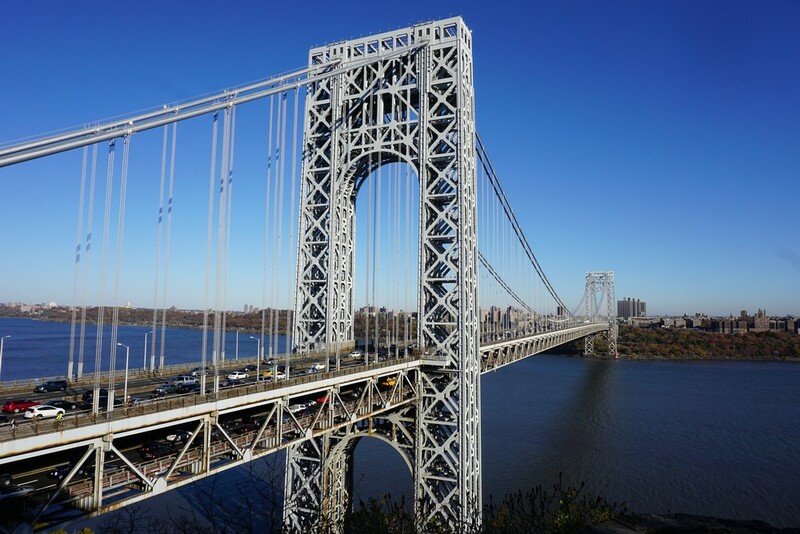 I also walked to the overlook right above the George Washington Bridge, which contains one of the best viewing vantage points for the bridge. 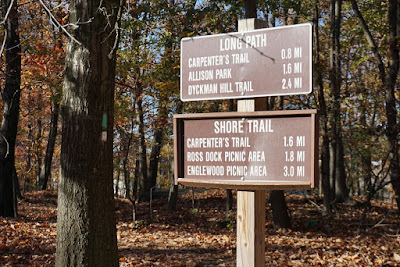 At the intersection with the Carpenter's Trail, I took this trail west, crossing over the Palisades Parkway, to Linwood Park. 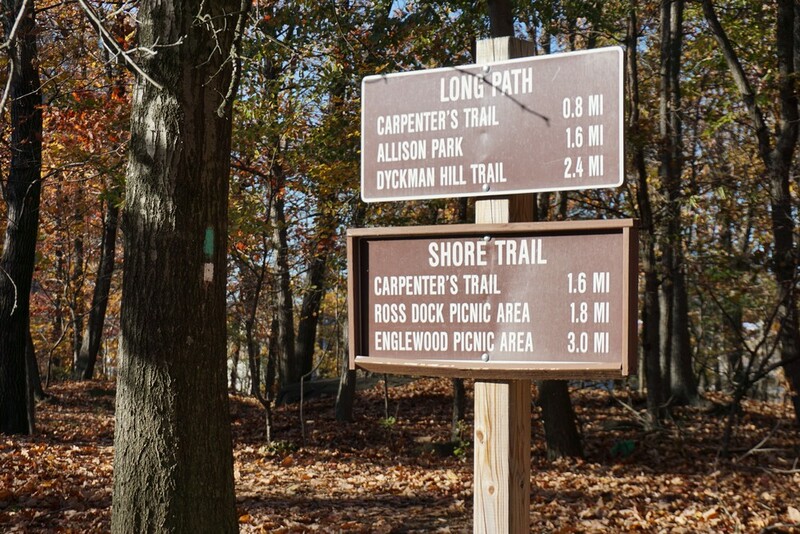 This is a small local park in Ft. Lee. 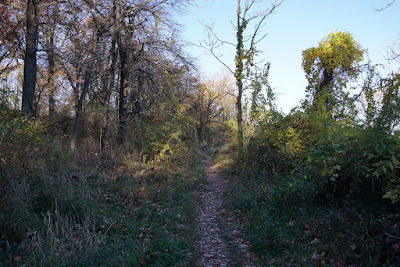 I walked through this park to the end, and then turned around, heading back on the Carpenter's Trail. 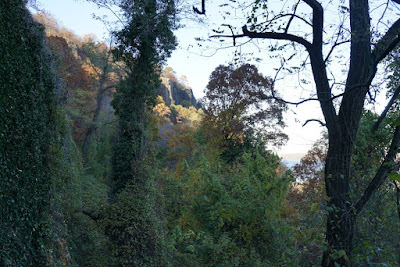 I continued along the Carpenter's Trail, crossing the Long Path and the descending steeply down the Palisades Cliffs using stone stairs. 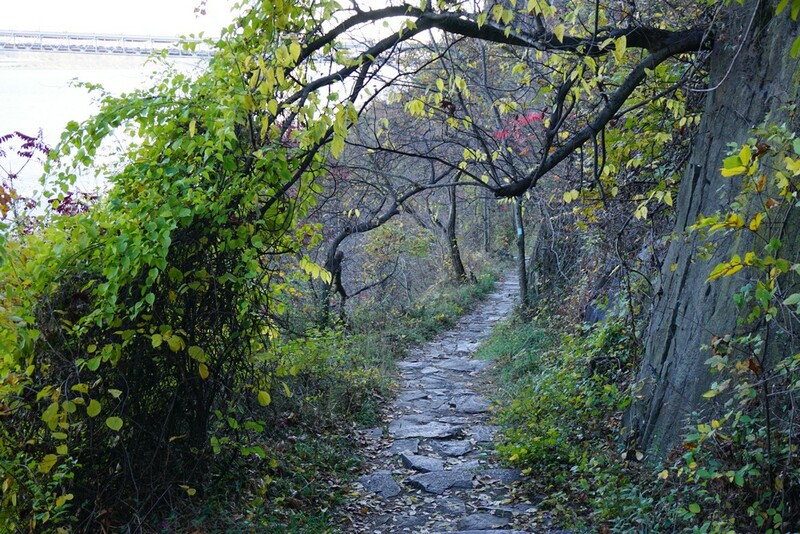 Near the bottom, the trail went under Henry Hudson Drive in an old stone tunnel, and then ended at the Shore Path concurrent with the side of the road. I took the trail/road north to Ross Dock, which was very busy with weekenders enjoying the good weather. 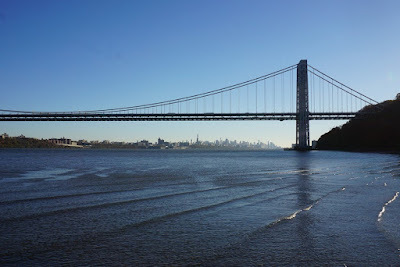 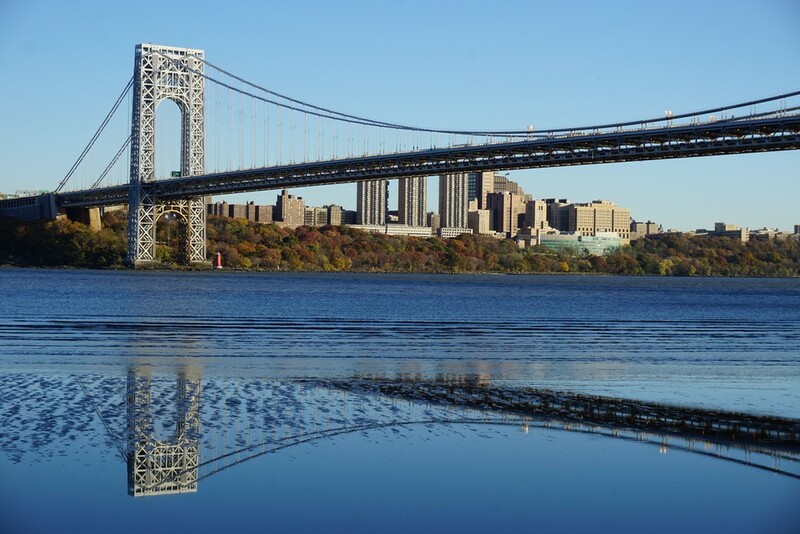 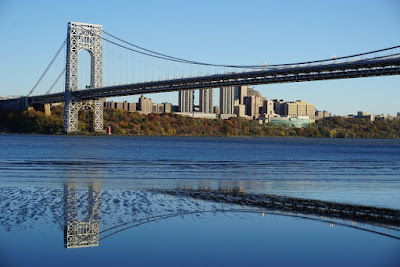 After walking through the boat basin area along the side of the river, I headed back along the shore trail concurrent with the road, going under the George Washington Bridge. The road ends at this point at a boat launch into the Hudson River. The trail continues south, and then right before Edgewater, it hooks west and snakes up the Palisades. It then goes along the sidewalk of Hudson Terrace heading back north and continuing uphill. I followed this route, and the sidewalk back into Ft. Lee Historical Park and then back to my car.